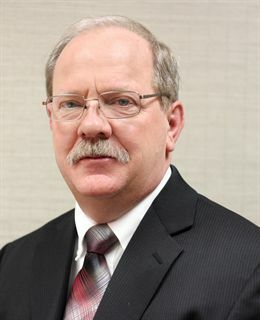 Dave Huckeriede was born in St. Marys, Ohio, graduated Memorial High School in 1977, attended The Ohio State University and then graduated Cincinnati College of Mortuary Science in 1981. He is married to Janine Huckeriede and has two sons - Brian and Thomas Huckeriede and a stepson Michael R. Terry. He enjoys backpacking, camping, downhill skiing, SCUBA, and motorcycling. 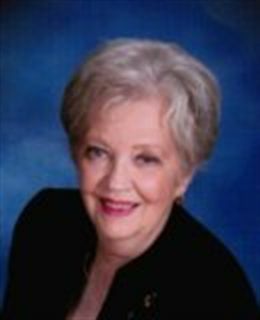 Jean was born and raised in Van Wert and graduated from Van Wert High School in 1957. She then came to Lima and graduated from Lima Memorial Hospital School of Nursing in 1960 and Northwestern College in 1992. In 1961 she married Frank K. Chamberlain and they had 2 sons, F. Stephen and Timothy Allan Chamberlain. They also raised a foster son, William E. Foster. She is the grandmother of 7 grandchildren. Frank died in 2006. In 1992, she received her funeral directors license from the State of Ohio. In 1994 she was the recipient of the Golden Paradigm award as a Woman of Achievement. Jean is a member of Trinity United Methodist Church and Altrusa International of Lima where she has served as Secretary and President. She was also Governor of District Five of Altrusa International from 2001-2003.
and has served on the Board of the YWCA of Lima and the Allen County Chapter of the American Heart Association. 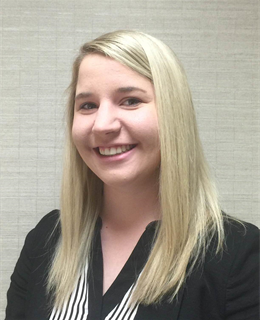 Jenna Ellerbrock was born and raised in Ottawa, Ohio, graduating from Ottawa-Glandorf High School in 2010. After graduating, she attended University of Cincinnati and then Cincinnati College of Mortuary Science, earning a Bachelor’s degree in 2013. She moved to Lima from Columbus where she was very active in both outdoor and indoor beach volleyball leagues, playing all year round. She currently plays volleyball at St. Charles Catholic Church and Shawnee Alliance Church. She also enjoys playing tennis, singing, and attending country concerts during the summertime. Most of all, Jenna enjoys spending time with her family, especially her nieces Aaliyah and Jayla. Jenna is an avid sports fan and is a huge Cleveland Browns, Ohio State Buckeyes, and Columbus Blue Jackets fan, attending as many games as she can. She is excited to be part of Chamberlain-Huckeriede and looks forward to serving her community. Dave Belton was born in Coldwater, OH. He lived in New Bremen, OH and moved to Lima, Ohio in 1963. He attended Shawnee Local Schools from which he graduated with the Class of 1970. After high school Dave attended Lima Technical College and worked in retail. Dave was appointed full-time firefighter/EMT in June of 1974. He climbed through the ranks and retired as Fire Chief in December of 2002. He also served as President of The Northwest Ohio Fire Chiefs Association. Dave was 1981 graduate of Lima Technical College (Rhodes State College) earning the first Associate Degree in Emergency Medical Technology. He was a State of Ohio Public Safety Instructor for 35 years, teaching and training firefighters, EMT’s and paramedics all over the West Central Ohio region. Dave was elected to the Shawnee Township Board of Trustees serving from January 2010 and in still serving the public as a trustee. Dave has served the public locally for over 43 years and continues to serve to this day. Beyond life in funeral service Dave enjoys participating as a Lay Pastor and Haiti Mission Team Leader for the Shawnee United Methodist Church. Dave is an active member of the Shawnee Optimist Club participating with placement of the flags and Shawnee, LCC and Shawnee Township buildings on Holidays to honor our nation. Dave has been married to Kathy (McCune) for over 45 years. They love the beach, mountains, and friends, but mostly enjoy spending time with their family, especially the six grandkids, Jordan, Jillian, Rachel, Brady, Madison and Carter. 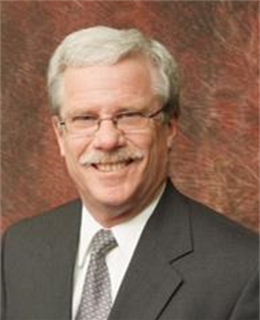 Above all else, Dave enjoys serving the families in his community at a time prior to when they need it the most, and is very proud to be a part of the Chamberlain-Huckeriede Team.